The stunning Shah Alam is the capital of the state of Selangor, Malaysia. It’s home to 600,000 plus inhabitants of all different ethnicities- the key aspect as to why Malaysia is so beautiful and special. The prosperous city is a medley of lush greenery with new state-of-the-art industrial hubs, commercial centres and contemporary residential areas. Due to its proximity to Petaling Jaya, Klang Valley and even Kuala Lumpur, it’s easy to get to around and ideal for people wanting to explore neighbouring cities. Shah Alam can be generally divided into 3 sections: the north, the centre and the southern sections. More specifically, the city is divided into 56 sections or “Seksyen”- a handy word to add to your Malaysia vocabulary! There is a variety of commercial areas, however, Shah Alam is more residential than say the extremely shopping-orientated Kuala Lumpur or even Petaling Jaya. Nevertheless, you are guaranteed a great shopping experience. Shah Alam, recently stamped as a city in 2000, can be considered an “intelligent” city as it’s the first planned city in Malaysia after their independence from the British. It’s ever expanding in a clever and dynamic way, always having future plans for infrastructure in mind. What you see of Shah Alam is just the tip of the iceberg for what’s to come. It’s exciting for an expat to be part of this ever-blooming yet sustainable place as people who live and work in Shah Alam are part of a team working together to make it a vibrant and successful hub for every inhabitant to learn and grow. Tropical trees, gardens and deep green lakes meander throughout Shah Alam which makes the city life there more calm, relaxed and lends a natural atmosphere to the place. There are many factors which make real estate in Shah Alam a lucrative investment. 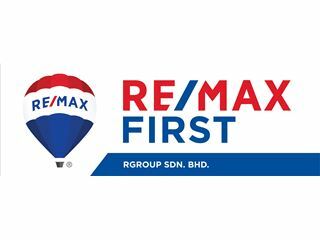 Malaysia’s managing director, Sarkunan Subramaniam, states that investing in a centrally located area in Malaysia is crucial and getting a property which is easily accessible to other main cities is a real bonus. Also, it’s remarkable how every acre of land is strategically planned meaning the city council is proactive in making the place a favourable area for property investors. Due to the fact the city is growing in population and in nfrastructure, Shah Alam is attracting students and professional workers to rent and buy property at attractive prices. The affordable prices coupled with accessibility of the city offers investors potentially great returns. Expect to find modern housing and luxurious condominiums with limitless amenities. There are also many gated communities which are in demand and very desirable in Malaysia. Locals, expats and tourists get to soak in the city culture against the backdrop of an exotic rainforest. Shah Alam offers up a wide variety of special and traditional things to do. Many tourists are attracted each year to the magnificent blue and silver mosque which sits elegantly in the city centre. Spending warm nights by the river admiring the city’s nature and the reflection of the of fairy-tale like mosque in the water is a popular pastime for Shah Alam’s friendly inhabitants. The climate also will never fail to impress as it’s warm and sunny almost all year around. Cost of living is much lower compared to Western countries and saving a few bucks is made easy due to the plethora of tasty inexpensive Malaysian eateries where locals like to dine. Many expats who move to the great Orchid City find learning some Malaysian or Mandarin phrases very useful to get by in daily life and deepen their understanding of the culture. Although, English is widely spoken especially amongst the younger generations. Expatriates find themselves mingling with people from all around the globe and enjoying local life in Uptown Shah Alam which is bustling with markets and holds many events such as games and concerts. Pub and nightlife events are arranged by expat communities too. There are many chic shopping districts of Shah Alam. Setia City Mall can satisfy all your shopping needs without having to pay a visit to Kuala Lumpur. It offers an abundance of Western and Malaysian appealing eateries, many mainstream brands, a 9 screen-multiplex and lots more. Plus the mall has a huge and very cheap car park so it’s great for a family trip on a lazy Sunday or a rare rainy afternoon. There are plenty more shopping malls and markets to suit everyone’s tastes and budgets so you’re spoilt for choice. Shopping places include Sacc Mall, Komplexs PKNS and Setia Alam Night Market. If you need to further satisfy your shopping needs, Kuala Lumpur is not too far away for you to shop the day away! Due to the city’s ethnic diversity there is an abundance of different restaurants showcasing appetizing cuisine from all over the globe. Malls are packed with chain and local restaurants and markets offering up flavoursome treats. Passionate foodies will have no problem here as dishes are rich, unique or plain dishes have a tasty twist. A casual dining place to note down is Polperro Steak House named after a British Cornish town. It lures in crowds every night due to its low prices, rich flavours and plentiful portions. For more fine dining try Laman Grill where chef, Zubir Zain, from Masterchef Malaysia is the mastermind behind your exquisite dishes. Also, try sipping the traditional Malaysian tea named “teh tarik” like a local at the Mamak stall MMZ in Bukit Jelutong for an authentic experience. Flying to Kuala Lumpur Internal Airport and then taking a taxi, train or car is the easiest and simplest way to get to Shah Alam. A major plus of living is Shah Alam is that it’s so accessible to other important cities in the Klang Valley by a network of 4 main highways and the newest Kemuning-Shah Alam Highway (LKSA). KL is approximately a 1 hour drive away depending on traffic. Shuh Alam is conveniently connected to Kuala Lumpur International Airport by a highway. Shah Alam is located 20km west of KL, a train (KTM Komuter) runs between the 2 cities which takes a speedy 45 minutes. To get around the in the city, you can take mini buses, express buses, trains, boats and the car to explore the place easily and cheaply. As you can tell, the city’s transportation is extensive and very convenient for commuters who need to travel to other key cities. Recognizing that education is the premise for a prosperous city, academia is in no shortage in Shah Alam. Currently, the city has racked up a total of 37 primary schools, 23 secondary school, a handful of universities including the Universiti Teknologi MARA and many other colleges for higher learning. All of this higher education adds to the driven culture of Shah Alam making it very appealing to students and professionals. Additionally, the Chinese Taipei International School (Kuala Lumpur) is situated in section 32. Chinese schools are said to be a hugely valuable asset to have in a thriving Malaysian city. 1. Blue Mosque- Situated in Seksyen 14, the stunning piece of architecture is truly the heart Shah Alam. Your eye is immediately drawn to its vibrant colours and sophisticated structure. It’s the biggest mosque in Malaysia and the second largest in South East Asia. 2. Sultan Alam Shah Museum (Selangor State Museum)- A cultural hotspot to learn about the history of Selangor with impressive exhibitions of treasures and artefacts. 3. Shah Alam Lake Gardens- The beautiful artificial but natural-looking lakes sit in the centre of the city. It’s an ideal spot for a family picnic or evening hang-out place with friends. Or taking a leisurely sail through the lakes is a majestic way to appreciate the city’s splendour. 4. Street Art- Sometimes the best street art are tucked away in hidden corners. In section 7, back alleys come alive with colours, expressive graffiti and paintings illustrating social issues done by talented artists. 5. Shah Alam Sports Stadium- For football/soccer fans, the gigantic stadium is a must-visit. It can accommodate more than 100,000 spectators and is home to Selangor FC. 6. I-City Amusement Park- The vividly lit up LED theme park is one for adults and children to enjoy with many exceptional rides such as gliding down a slide made of ice. All the trees come alive with bright bold lights creating a magical fairy-tale wonderland for the family to experience. 7. Rainforest Excursions- Many of the attractions in Shah Alam are outdoor-orientated due to the dense tropical rainforest in and around it. Skytrex Adventure offers adrenaline-filled and adventurous activities like zip wiring through bushy green forests. 8. Wet World Water Park- A gigantic water park (one of the biggest chains in Malaysia) promises a fun (and cooling!) day drip for the whole family.